China flipped the switch on its Beidou Global Positioning Satellite system and has already started to provide location services for mainland China and the nearby territories. The system relies on 10 satellites which China has started launching in 2003. The Chinese system is a rival to US GPS and will lessen the country’s dependancy on the US system for positioning. 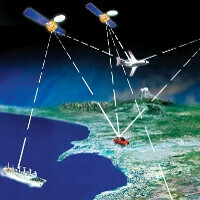 Europe and Russia have also vowed for independence with the Galileo and GLONASS satellite positioning systems. The Chinese Beidou still doesn’t match their reach, but the country plans to expand with six additional satellites in 2012, which will allow it to cover most of Pacific Asia. The plan however is for 35 total satellites in 2020, which will grant coverage of the whole world. The Chinese system also offers better precision with accuracy of 33 feet (10 meters) while GPS offers around 66 feet (20 meters). It will also be able to record speed with 0.2-meter a second accuracy and sync clocks to 0.02 millionths of a second. This will give the country the accuracy needed to guide missiles and other weapons. Why is this important and why does China need another GPS? The answer is because thus the country will be fully independent of the US GPS. Up until now, the US could decide to turn off geo location via GPS - something we've seen used in the Iraqi war, but with Beidou China wouldn't need to have US GPS blessing. Initially, Beidou was only planned for military use, but later on it was agreed that the satellite network would be open to commercial use as well. The world’s most populous country still lags behind the US and Russia in the field, but is quickly catching up. Can't they think of a better name? It sounds really funny... lol but though their GPS sounds funny, China is definitely becoming one of the "Super Powers" of the world. GPS reverse engineered and we get Beidou... When will these Chinese copy cats ever learn... they will always remain as third rate nation... Good for them. Bluedroid, What are your accomplishments in life as a person? Calling a whole nation "third rate nation" is lame. Please learn to respect people. Please do not mind my comment. Well, if this is like most other Chinese products it'll break in about 2 days.